October 2nd 2010 has been announced as LiveSTRONG Day 2010. I first heard about this event from Ellie at Almost Bourdain and was immediatley inspired by it. The original LiveSTRONG with a Taste of Yellow event is hosted by Barbara at Winos and Foodies, and learnt more about both the charity and the event here. In 2003, I lost my beloved grandfather to prostate cancer and I also have other friends and family members who have been affected by this disease. While some of these friends and family lived through this, others were not so lucky. So I have always been involved with any event that raises awareness about cancer and its effect on people. This is my humble effort to be more involved and also support the charity, originally founded by Lance Armstrong, the cyclist, who also survived this disease. 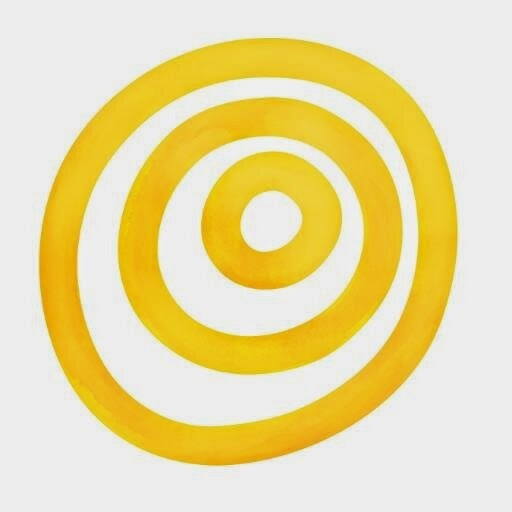 The theme for this year from blogger Barbara, is Yellow Heart. I did a bit of reading up around the theme, and was ready to go. 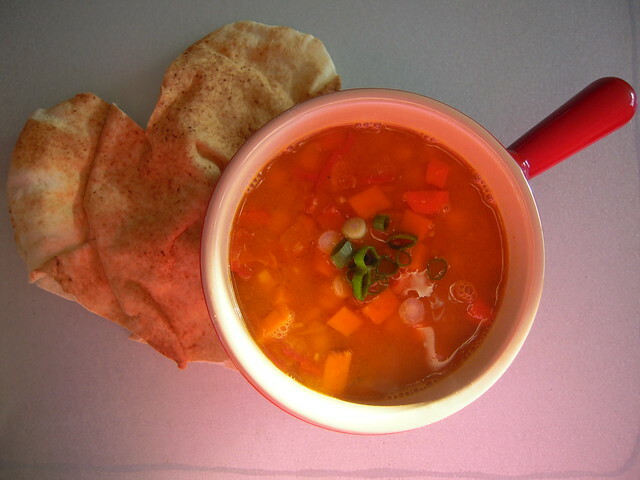 I didn't have a lot of time to prepare, or go to the store, but luckily had enough ingredients for this easy yellow soup, which I usually serve with toasted pita bread. 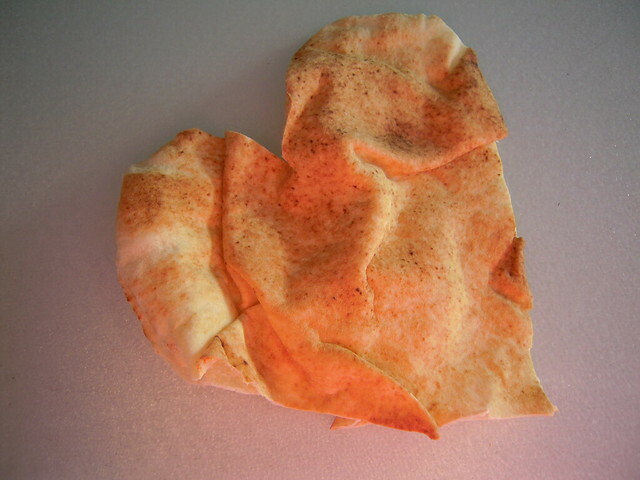 It took a matter of minutes to put the soup together and shape the pita into a heart as my contribution to the event. These are my efforts, and the soup is dead easy to make for a weekday supper, and is packed full of vitamins and protein, and the spice turmeric, which has been linked to beating cancer. Obviously you can vary the recipe with whatever you have in the fridge! In a pot, cook the lentils in enough water till they are soft, around 45 - 50 minutes.There won't be much water remaining, so don't bother draining them. In another heavy pot, add the olive oil and saute the onion for about 2 minutes, until softened. Add the turmeric, ginger and garlic and saute for another 2 minutes. Add the tomato, sweet potatoes and carrots, and stir around for about 4 minutes or so. Add the cooked lentils along with the cooking water to the pot, stir, then add the stock. Simmer gently until the sweet potatoes are cooked (don't worry about the carrots being fully cooked, they add a nice crunch to the soup). Stir in the drained chickpeas. Simmer for about 2 more minutes. Taste and adjust the seasoning to your taste. Serve garnished with the spring onions, with a toasted pita on the side. I'm sorry to read about your grandfather. I love soup so will bookmark your recipe to try. Thank you for giving me your heart Michelle.